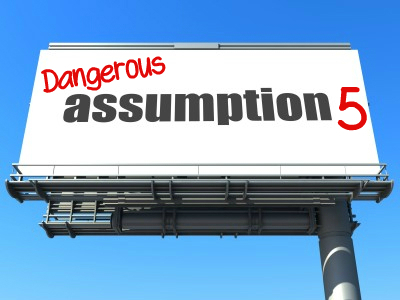 This week we have looked at two dangerous assumptions that can override good preaching preparation. One is overtly too human-centred, leading either to striving or enabled independence. The other is apparently God-centred, yet perhaps open to the charge of misrepresenting the God-centred reality presented in Scripture. One variation of this latter assumption makes God profoundly selfish, the other makes Him non-relational in His controlling. Let’s finish the week with a few miscellaneous other assumptions that could be causing us to misrepresent the Bible text we are preaching. Again, our goal is not to be negative, but to stir us to pray for God’s perspective on our handling of the Bible – let’s let God be the coach in all of this. Dangerous Assumption C: It’s all about something else. 7. The power filter. This may just be a variation on some of what we’ve considered already. It is the notion that Christianity is about spiritual access to power on another plane. Somehow we have to tap into this secret energy source that will give us super-human stamina or impressive miracle power to wow the world. The Bible can then become a set of data to twist and use as leverage in accessing this heavenly fuel. Again, the marital and relational nature of true Christianity gets lost here. The Spirit who pours out God’s love into our hearts becomes the conduit for wow-fuel that leaves Jesus distant and enables our thoroughly dependent independence. 8. The nice filter. This is where the preacher filters out anything tough or challenging or difficult and makes everything soft and nice. In one form everything becomes syrupy and fluffy, without any hint of wrath or anger, etc. In another form, the wrath and anger of God become another “side” to Him that is somehow held in tension with his love. We therefore lean on the loving “side” of God and are spared the nasty side. Alternatively we celebrate nice Jesus who has delivered us from angry Father. Whatever version grips us, we have a problem. Unless we see God’s holiness and justice and wrath and jealous nature as part of His triune love, then we will have a God with a split personality or a divided trinity. Nice is not the issue, but His love might be more significant than we realise. 10. The agenda filter. This is where our personal or political or cultural agenda is imposed on any passage. We could all pick an issue in national or church politics and create a “study Bible” with notes linking almost any passage to the subject of our own choosing. Thankfully publishers don’t publish most of these potential study Bibles! Let’s spend time with God asking Him to show us where our lenses are changing the hue of His self-revelation to us in the Bible. Our desire to be biblical preachers is to please the God who has spoken, who speaks, who has revealed and will be revealed by our preaching. He is more than able to point out where we may be misrepresenting Him, so let’s be sure to ask!